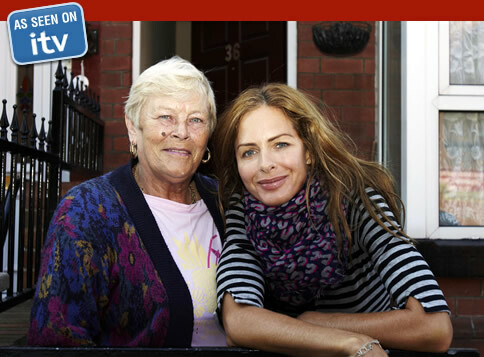 What was that website Trinny Woodall signed Christine up to on 7 Days On The Breadline on ITV? That’s an easy one! It was SinglesOver60.co.uk. That’s right, on Tuesday 3rd of November at 9:45pm on ITV, Leeds pensioner Christine signed up for a SinglesOver60.co.uk senior dating account. In no time at all, Christine was receiving stacks of messages from local single men in their late 60’s and early 70’s eager to meet her. Click here to sign up for your free trial over 60 dating account and post your own profile and photo today. Go on! What have you got to lose? Find out more about 7 Days On The Breadline at trinnyandsusannah.com. Browse more singles over the age of 60.